ASTM B381 / ANSI B16.5 / UNS N56400 / DIN 3.7165. ANSI 16.5 Socket weld flange, Titanium Grade 5 Flanges, UNS N56400 Flanges, ASTM B381 Titanium Gr 5 Slip on flange, Titanium Gr 5 Flanges, WERKSTOFF NR. 3.7165 Flanges, DIN 3.7165 Flanges, Titanium Alloy Gr 5 Flanges Supplier in Mumbai, India. Ti Alloy Grade 5 Reducing flange, Titanium Gr.5 Plate flange, Ti Alloy Grade 5 Spectacle blind flange, Titanium Alloy Grade 5 Screwed flange, Corrosion Resistant Titanium Gr 5 Flanges, Titanium Gr.5 Ring type joint flange, Titanium Gr.5 SORF flange, Titanium Gr 5 Threaded Flanges, Titanium Gr 5 Flanges Exporter, Titanium Gr 5 SWRF flange, Ti Gr 5 Tongue and Groove flange, Titanium Gr 5 Long weld neck Flange, Titanium Gr.5 Blind flanges, Titanium Gr 5 Forged flanges, Titanium Gr.5 Welding neck flange. Are you searching for Titanium Gr 5 Flanges? Then you arrived at the right destination, Jayesh metals are the largest exporter and manufacturer of titanium flanges. They provide prominent quality flanges with different standard certificates. This is the right place to buy the different range of titanium flanges at market compatible prices. The titanium flanges are excellent for high strength assemblies, maximum utilization of these flanges done on automobile industries, household industries, chemical processing industries, fabrication industries and so on. Additionally, these flanges are competent to endure in elevated temperatures makes ideal for boiler fittings and arrangements. 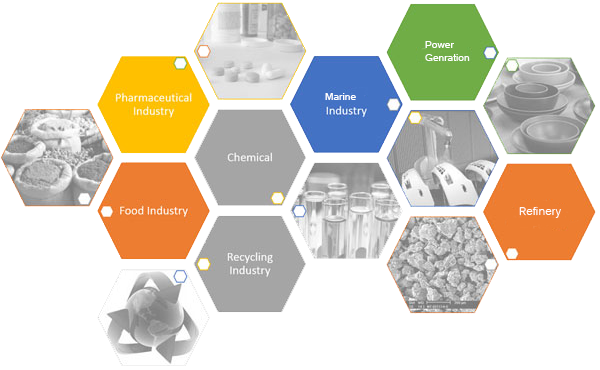 The fabrication process is accomplished by consuming tested raw materials. The skilled and experienced workers are involved in the production of flanges, with the help of newest manufacturing methods and machines the production of flanges are précised. Various heat treatment processes is done on the surface of flanges for extra hardening, Finishes by bright black polish for preventing oxidization and rusting. UNS N56400, ASTM B381/ ASME SB381 are material grade and standard of flanges respectively. These are available in standard dimensions, size ranges from ½” to 60 NB, and these can be customized as per customer requirements. Socket weld, slip on, blind, lapped, screwed, weld neck, long weld neck, spectacle, ring joint, reducing are types of flanges. 150#, 300#, 600#, 900#, 1500#, 2500#, PN6, PN10, PN16, PN25, PN40, and PN64 are class and pressure ratings. Before dispatching plenty of quality tests to performed on the Titanium Gr 5 Flanges and inspected by third parties, then pack in wooden packing for additional safety. 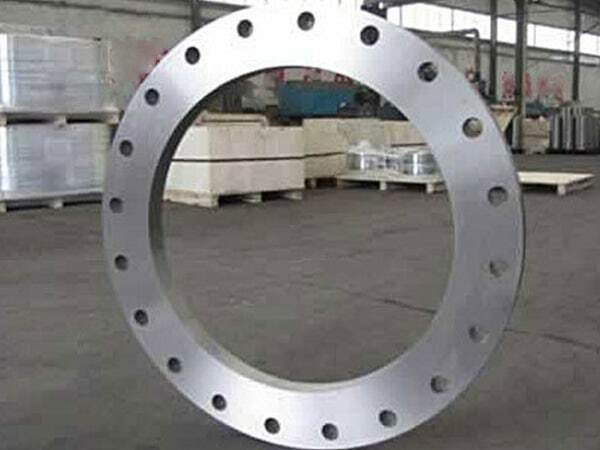 titanium gr 5 flange stockholders in india, titanium gr 5 flanges pipe, titanium alloy gr 5 pipe flanges, titanium alloy gr 5 flange price list, titanium gr 5 loose flanges, ti gr 5 dealer in mumbai, gr 5 flange manufacturer, alloy gr 5 flanges manufacturers, coastal flange, titanium gr.5 flanges manufacturing companies in india, titanium gr 5 manufacturer in mumbai, titanium sus grade 5 weld neck flanges, ti alloy flanges price list, titanium gr 5 supplier in india, titanium gr 5 flange manufacturer india, titanium grade 5 flanges suppliers, titanium alloy gr.5 flanges manufacturer, titanium gr 5 flanges, titanium gr 5 wrought austenitic flanges, ms grade 5 flange manufacturer in india, ti grade 5 flanges manufacturer in india, titanium alloy gr 5 spectacle blind flanges, titanium gr 5 price list, titanium gr.5 exporter in india, titanium 3.7165 screwed flanges supplier, titanium gr 5 flanges manufacturer in mumbai, titanium gr.5 flange astm. Oman, Peru, Gambia, Hungary, Afghanistan, Tibet, Bahrain, Canada, Indonesia, United States, Macau, Saudi Arabia, Ukraine, Germany, France, Estonia, Morocco, United Kingdom, Croatia, Nepal, Mongolia, Chile, Switzerland, Portugal, Sri Lanka, Angola, Kuwait, Argentina, Egypt, Vietnam, Denmark, Italy, Puerto Rico, Bangladesh, Japan, Australia, Ecuador, South Korea, Hong Kong, United Arab Emirates, China, Trinidad & Tobago,Tunisia, Romania, Colombia, Mexico, Venezuela, Azerbaijan, Poland, Yemen, Bolivia, Belarus, Zimbabwe, South Africa, Singapore, Turkey, Thailand, Qatar, Kenya, Iran, Slovakia, Namibia, Nigeria, Serbia, Lithuania, Algeria, Lebanon, Netherlands, Costa Rica, Iran, Libya, Norway, Greece, Sweden, Nigeria, Brazil, Israel, Gabon, Kazakhstan, Bulgaria, Bhutan, Austria, Taiwan, Czech Republic, Jordan, Mexico, Belgium, New Zealand, Poland, Russia, Chile, Philippines, Ireland, India, Malaysia, Iraq, Spain, Ghana, Finland. Busan, Seoul, Muscat, Sydney, Aberdeen, Manama, Milan, Courbevoie, Bogota, Sharjah, Jakarta, Granada, Hyderabad, Bengaluru, Tehran, Vadodara, Toronto, Thane, Howrah, Kanpur, Ranchi, Al Jubail, Singapore, Kuala Lumpur, Surat, La Victoria, Ahmedabad, Gurgaon, Moscow, Riyadh, Algiers, Colombo, Gimhae-si, Ulsan, London, Karachi, Pune, Calgary, Bhopal, Hanoi, Port-of-Spain, Coimbatore, Lagos, Atyrau, Bangkok, Melbourne, Vung Tau, Chandigarh, Ho Chi Minh City, Istanbul, New York, Noida, Hong Kong, Petaling Jaya, Pimpri-Chinchwad, Perth, Mumbai, Cairo, Chennai, Jaipur, Ankara, Santiago, Dallas, Ludhiana, Secunderabad, Haryana, Mexico City, Navi Mumbai, Geoje-si, Houston, Abu Dhabi, Brisbane, Montreal, Nagpur, Dubai, Rio de Janeiro, Al Khobar, New Delhi, Thiruvananthapuram, Visakhapatnam, Faridabad, Kolkata, Baroda, Madrid, Doha, Kuwait City, Dammam, Rajkot, Caracas, Nashik, Lahore, Ahvaz, Los Angeles, Ernakulam, Jamshedpur, Edmonton, Indore, Jeddah, Chiyoda.